The DOME OF PEACE is a synthesis of the arts by the artist De Es Schwertberger. It is a house of inspiration, in the service of the realisation of the dreams of humanity: WORLDUNITY, WORLDPEACE and WORLDCULTURE. 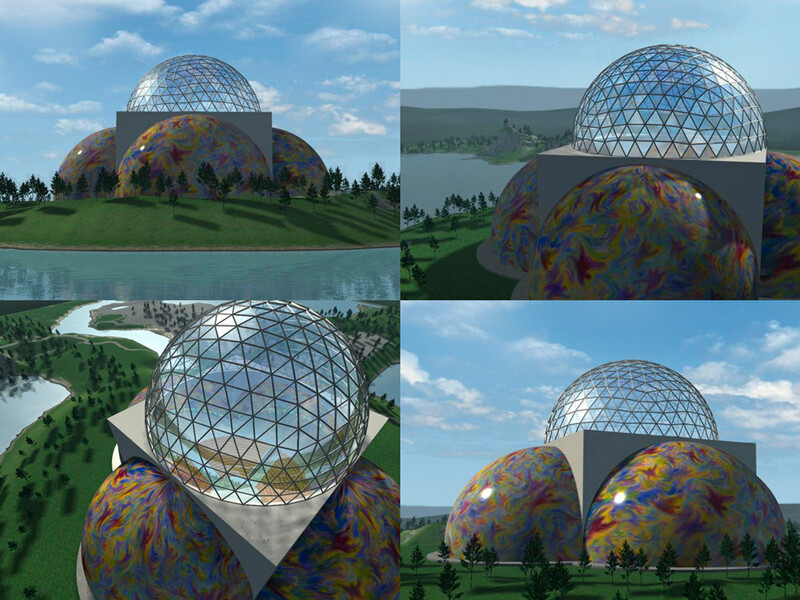 The DOME OF PEACE shall point the direction to a humane and dignified future, everywhere on our planet. 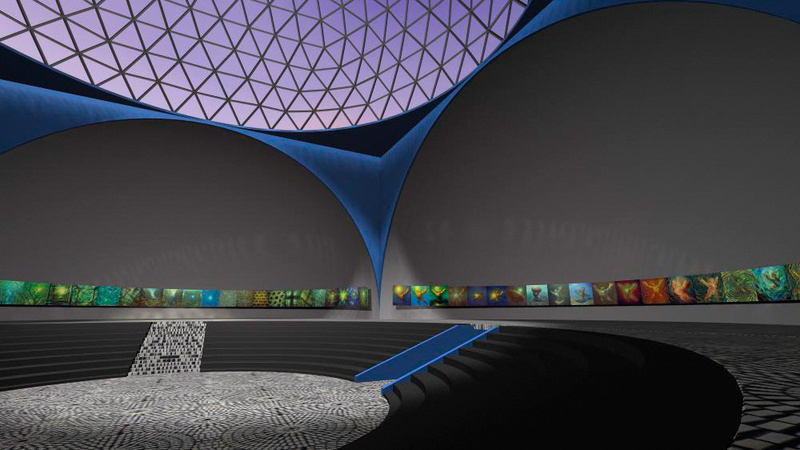 The dome is an exhibition and performance center, as well as a hall of contemplation, congregation and celebration. 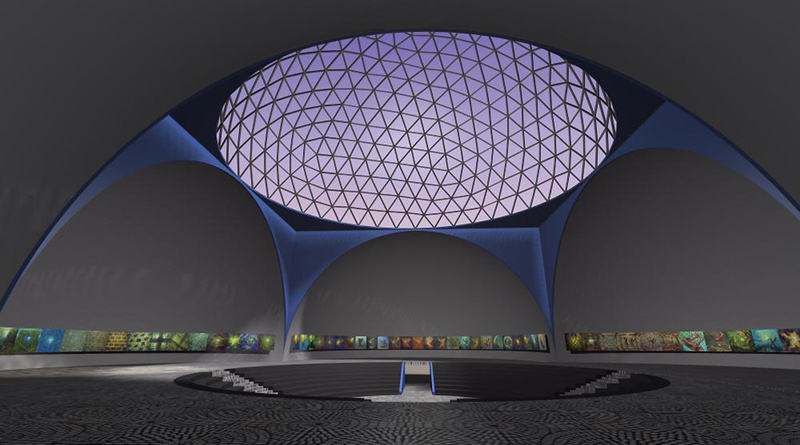 The basic shape of the building consists of four semi-circles, representing politics, religion, science and the arts, which surround the HUMANITY FORUM (with a diameter of more than 40 meters). 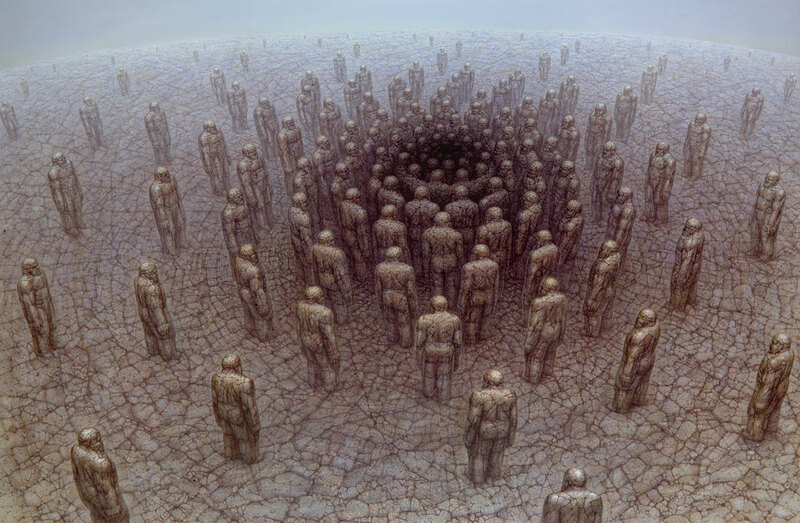 The inner circle represents UNITED HUMANITY and the centerpoint the WHOLE MAN. The central issues of humanity are the themes of the forum-program. 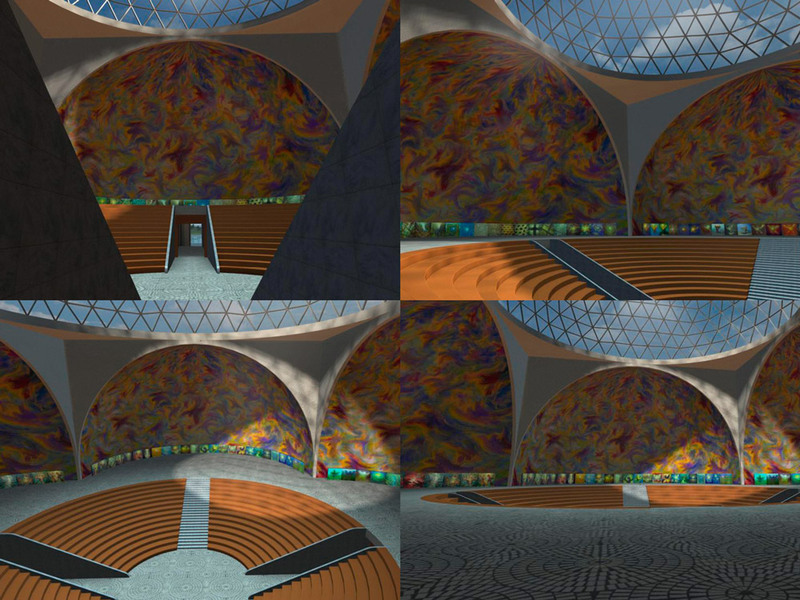 The foundation stone of the vision of the DOME OF PEACE is the triptych LIFEPOLES, created in 1977 (BLACK HOLE — GRAY MASS — WHITE LIGHT). It is destined for the entrance hall of the building. Each painting is 3 x 2 meters. The impressive cycle of oil paintings, with the title LIGHT OF LIFE, was created by De Es from 1980 - 1990. 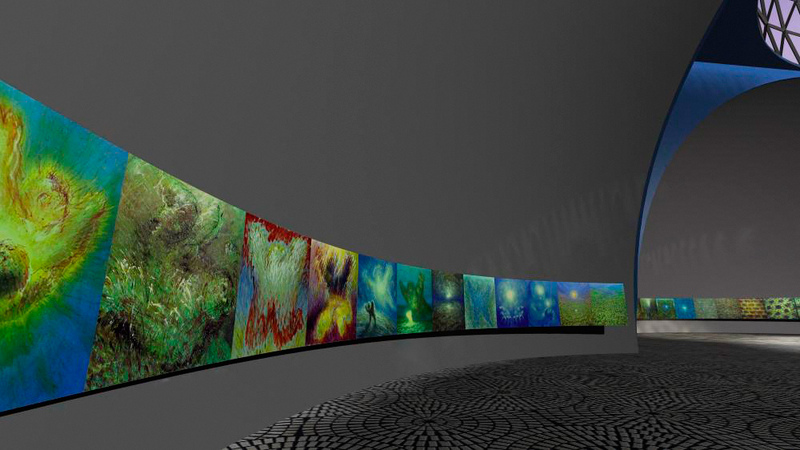 It consists of 100 paintings, each 2 x 2 meters. 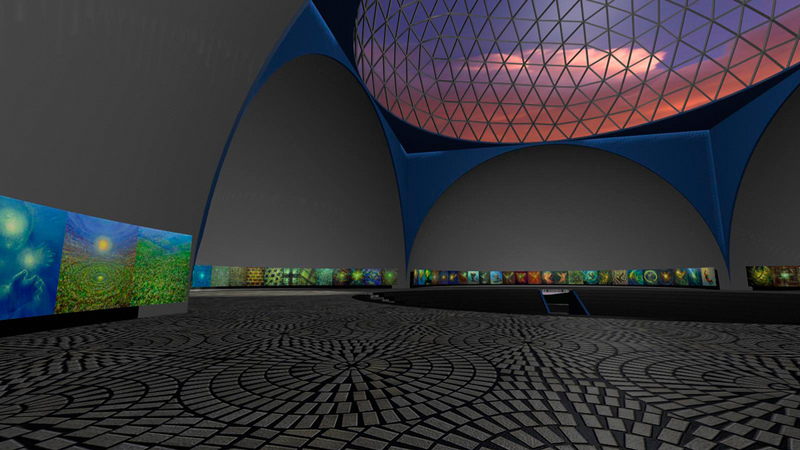 If they are arranged side by side in a circle, which has a diameter of more than 60 meters, the basic dimension of the DOME OF PEACE (in which the paintings will be exhibited permanently) is defined. 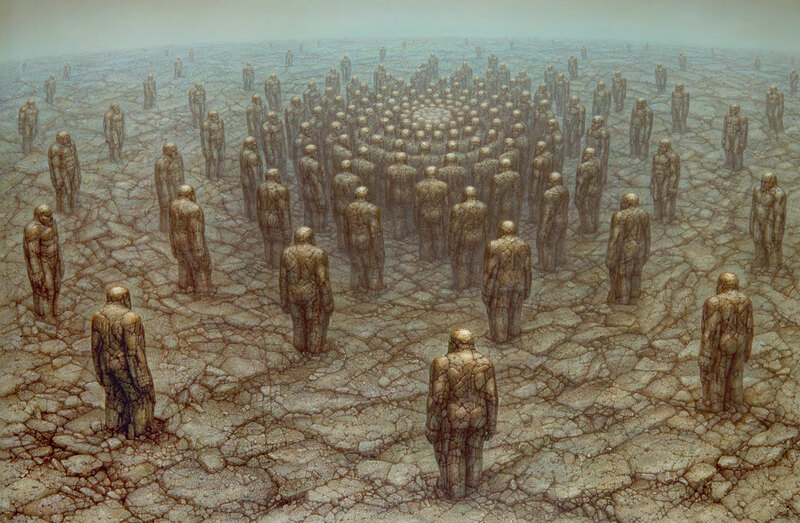 Planetarian-sculptures and installations are designed to populate a park-area around the dome. The STONEMAN from the STONEPERIOD (period 2, 1970-1980) continues to live as a sculpture since 1987. The artist named the original (made out of plaster) PLANETARIAN. The copies are made of polyester and painted with acrylics. The stone-skin of the Stoneman transformed on the Planetarian-sculptures into colorful, vivid basic patterns. The diversity of paintings on the skin of the PLANETARIANS demonstrate the concept of ALL ARE THE SAME — ALL ARE DIFFERENT. Planetarians are coming from a world without borders, bringing the message of the fullness of inner power. 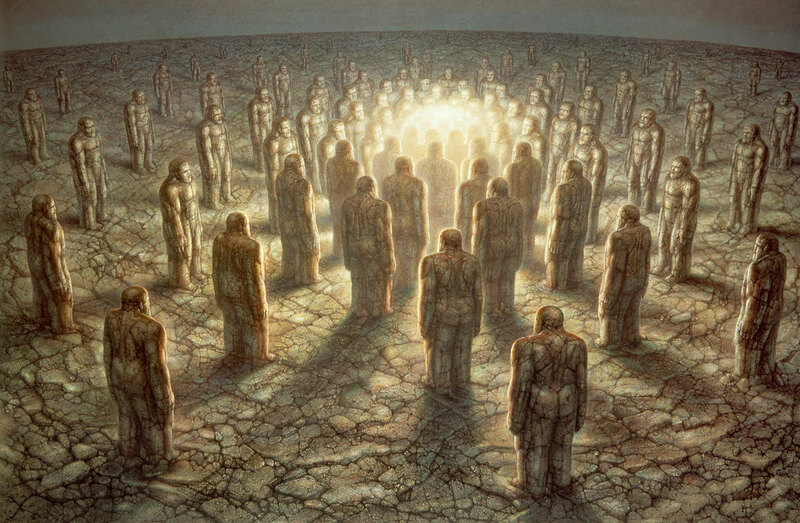 They are upright messengers of PEACE, from the DIMENSION OF WHOLENESS.